I’ve been asked by The Learning Channel’s “Four Houses” show to help them find Mid Century Modern Homes in Las Vegas that are worthy of being on their show. In case you are unfamiliar, Four Houses just had it’s first season on TLC. 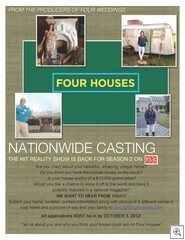 The show asks four homeowners to critique the style, decor, and originality of each other’s homes, and rank them based on four criteria. In the end, the homeowner with the highest score wins a prize. This year, the prize per episode is $10,000. The flyer (click it to see it full size) says to email them pictures and contact information. If you make that first cut, then they’ll ask you to fill out an application and arrange an interview. Everyone thinks I know all the cool retro Mid Mod Homes in Las Vegas. Even though I’ve been in more of them than anyone else, I don’t know everyone – as much as I’d like to. I’m sure there’s many many homes that I don’t know about that could be perfect for an episode of “Four Houses”. If you want to get the ball rolling, then follow the directions in the flyer. 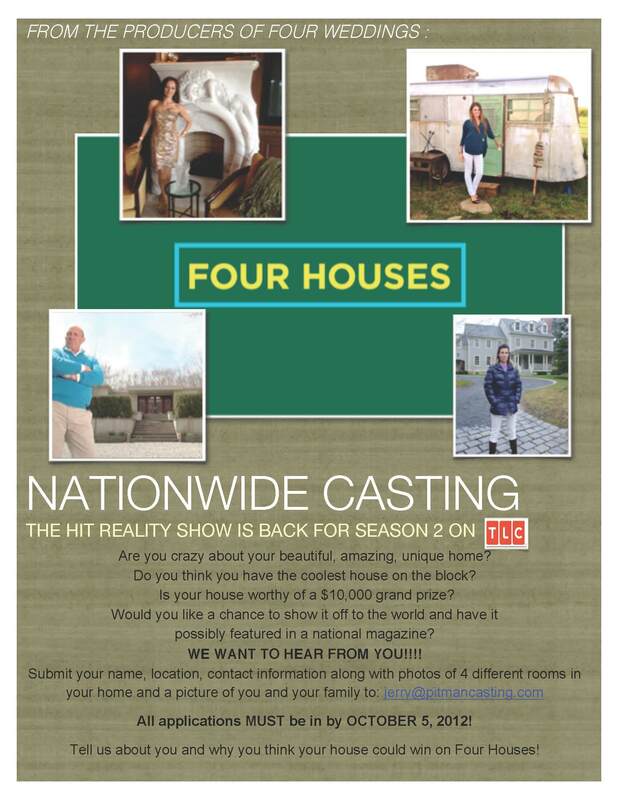 Most of their shows that have been filmed so far are either way out bizarre homes, or “beautifully” decorated suburban McMansions. This time they’re looking for Mid Century Modern Homes – tastefully done in authentic or retro era-proper decor. If there’s enough qualified entries, then they might even do a second episode. If you’re as proud of your Mid Mod home and furnishings as I am of mine….. lets find out who has the best one.